An important part of the interior design in the library of the new cultuurcluster ‘t Brewinc is a 5 x 13 metres custom designed carpet produced in high-quality Colortec with a super-scale kelim pattern. The monumental red brick buildings of a former Technical School underwent a complete change from 2008 to 2012 when the new Culture Centre was finalized. The Culture Centre covers approximately 6200 m2 and houses offices, library, apartments and a Grand Café. 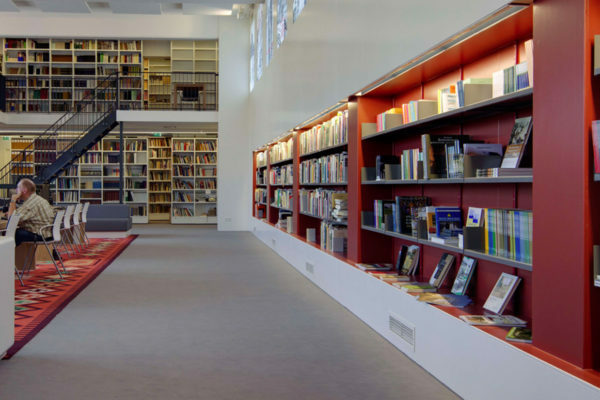 For the library, the architect needed a custom designed carpet with a super-scale kelim pattern. The carpet was designed in close cooperation with Kreikamp Projectinrichting and was custom designed and produced in high-quality Colortec, which allowed the large carpet (5 x 13 metres) to be produced in one piece. Custom designed carpets for Cultuurcluster ‘t Brewinc. 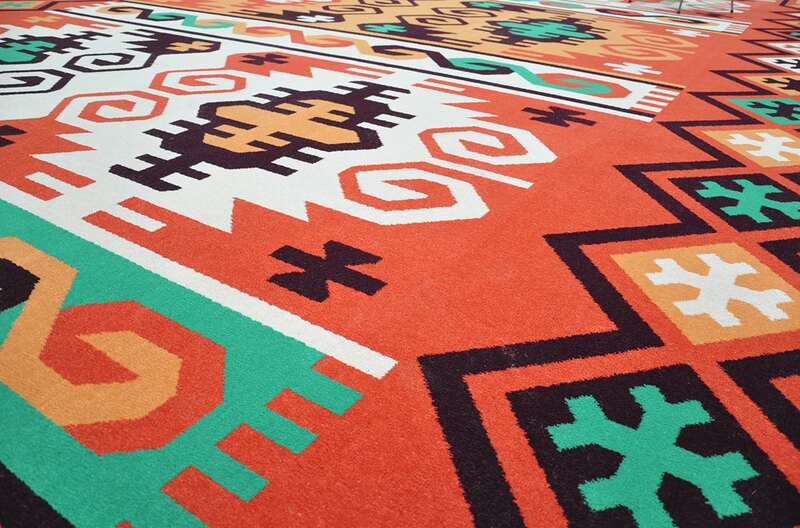 A 5 x 13 metres custom designed carpet produced in high-quality Colortec with a super-scale kelim pattern.